This rich, wide-ranging book explores Italy's national film style by relating it closely to politics and to the historicist thought of Croce, Gentile, and Gramsci. Here is a new kind of film history--a nonlinear, intertextual approach that confronts the total story of the growth of a national cinema while challenging the traditional formats of general histories and period studies. Examining Italian silent films of the fascist era through neorealism to modernist filmmaking after May 1968, Angela Dalle Vacche reveals opera and the commedia dell'arte to be the strongest influences. As she presents the whole history of Italian cinema from the standpoint of a dialectic between these two styles, she offers brilliant interpretations of individual films. The "body in the mirror" is the national self-image on the screen, which changes shape in response to historical and political context. 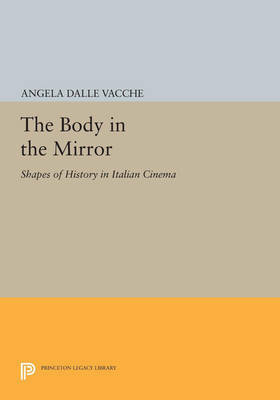 To discover how the nation represents, understands, and recognizes this fictional "body," Dalle Vacche discusses changes in the strongest parameters of Italian cinema: allegory, spectacle, body, history, unity, and continuity. In her hands these concepts yield a wealth of insights for film scholars, art historians, political scientists, and those concerned with cultural studies in general, as well as for other educated readers interested in Italian cinema. Originally published in 1992. The Princeton Legacy Library uses the latest print-on-demand technology to again make available previously out-of-print books from the distinguished backlist of Princeton University Press. These editions preserve the original texts of these important books while presenting them in durable paperback and hardcover editions. The goal of the Princeton Legacy Library is to vastly increase access to the rich scholarly heritage found in the thousands of books published by Princeton University Press since its founding in 1905.